Maruti is the king of passenger vehicles in India but nowadays the King seems to be losing its hold in the market. We earlier reported that Maruti Alto had lost the battle against Volkswagen Gol for the world’s top selling car, and now reports have been arrived that the Indian carmaker is suffering from a new low in the market position. Maruti’s market holding dipped from 44.64% to a tremendous low of 37.76%. Major reasons which came under limelight are the decline in demand of entry-level petrol cars, beefed up competition, and the very famous labour trouble at Manesar plant. The Car maker lost its grip majorly by petrol based entry level segment. Although, Alto dropped to Second position from it’s First, by a fall of 8% while Wagon R collapsed to 4th from 2nd by a dip of 8.5% sales. Other siblings who joined them are Ritz and Zen Estilo. Don’t be disappointed, as the Indian King brightly cashed on the diesel version of Swift in hatchback and Swift Dezire in the entry level sedan segment. There was a time when some used to say that every second car in India is Maruti Swift, though it seems to be true at present as well. Thus, we can say that these adorable beauties (Swift and Dezire) had hopefully done what was said in the past, by engulfing themselves with a diesel jag. Maruti Ertiga also kick started its sale with a big bang and became the second highest selling MPV in the calendar of 2012. 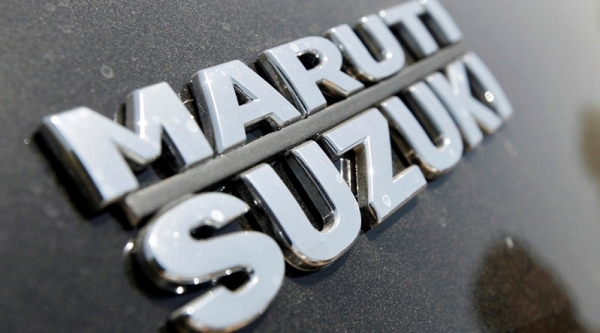 With so heavy sales in its hand, Maruti still faced cold feet. Distraction of labour in Manesar units had resulted in the complete lockout of both plants which in return increased the waiting period by some additional weeks on diesel variant of Swift hatchback and Swift Dezire. The back-to-normal operations and some positive response in petrol version, at present, will support Maruti to raise its market share by a few notches higher to 40%. Keeping the sales dip apart, Maruti enjoys a ‘wide’ gap between its major rival Hyundai. Four nameplates (of Maruti) are still in the list of top five selling models in India. Some analysts also say that Maruti Suzuki posses those potentials which a car manufacturer need to stay on the top, but it is the tough time for Maruti though which they are going through now. They also expect the Delhi based car maker to rise again very soon. Maruti Suzuki has lined up a few launches to flaunt itself again in the market. With the new XA Alpha- compact SUV being lined-up, it will compel the Indian youths for its die hard appearance and features. Alpha will do a hand to hand with XUV 500 and Renault Duster in the fired-up competition ring. Though technical part is not yet revealed but we expect Alpha to adopt a K-Series lightweight engine for petrol badge and the Fiat’s Multijet oil burner for diesel. It will be a 5-seater SUV which will fall under the price category of Rs. 10 lakh.